This article was guest written by my friend Zeke Lee, a fellow former management consultant (Booz & Co.) and Stanford graduate who offers some great real world advice on the realities of recruiting. Zeke is also the founder of the GMAT Pill Study Method, a great GMAT prep resource for those considering the MBA route for their career aspirations – more on that at the end of the article. Well, let’s say you missed the boat with #1: undergrad recruiting. Your school wasn’t a “target” school or you had no clue what management consulting was until now. How would you use #2 to get into management consulting? Let’s first take a look from the firms’ perspective. You see, different firms have different hiring practices between these two options. As a management consultant at Booz & Company, I trained alongside with the rest of my hiring class. 95% of my class were MBA hires. Booz happens to have a much more “diamond” shaped hierarchy with lots of MBA level hires, but only a few undergrad hires. Other firms like Bain & Company, on the other hand, hire a lot more undergrads and have a more “pyramid” shaped hierarchy. So a class of consultants will likely include a few more undergrads than MBA hires at a place like Bain. Knowing the organizational structure of various firms helps you understand which firms have a higher demand at which levels. As an undergrad you may not research much about a place like Booz, but certainly at the MBA level the firm would come into mind because of the greater opportunities there. Many of my colleagues at Booz were hired from MBA and so I naturally learned how many of them broke into the industry. Let me give you an example of an MBA hire who leveraged his previous industry exposure to get into a specialized team of Booz & Company. This fellow consultant (we’ll call him Jim) used to work at Boeing–the aerospace company full of rocket scientists who design the 787’s and 777’s for continental and intercontinental airflights you’ve all been on. Realizing he wanted to branch out of the nitty gritty details of what he was doing at Boeing, Jim decided he wanted a more business oriented career. He tried getting into the management consulting industry but couldn’t even get an interview. After getting the career advice he needed, Jim took his GMAT and entered a top MBA program. During a random networking event, he met a Booz & Company employee who actually was not a management consultant—BUT he happened to work right next to the group of management consultants at his office. These consultants happened to specialize in aerospace! This referring employee told the group that they might be interested in someone like Jim who came from a big-name aerospace company like Boeing. It’s important to note that Jim wasn’t an aerospace engineer—he had some assistant project manager position. But the fact that he came from a big company with a big brand name like “Boeing”–which also happened to be one of Booz’s key clients–made it that much easier for the referring employee to make the referral. You see, branding is that important. As a side note, for anybody looking for a job right after undergrad, I highly recommend starting with a company that has a STRONG BRAND name. I would almost say that from a career perspective, it matters LESS what your job title is and MORE what your company name is–at least when it comes time to finding your next job in the early stages of your career. Of course, there are exceptions to every rule but this is generally true. A strong brand helps people associate you with something familiar and makes the referral process much easier–it’s just the way human beings are wired. Anyway, back to Jim. So Jim got his interview with the Aerospace team because he came from Boeing, a key client for the aerospace team. His interview was actually delayed over a long period of time because the hiring managers were in and out of town traveling from engagement to engagement. Jim followed up and eventually met in person. During the interview, Jim shared stories of how he became VP of the consulting society at his MBA program, how he led teams at Boeing and made presentations to 200+ colleagues, etc. Negotiations went on for quite a bit, but eventually Jim got the job. You see, this wasn’t even through the school’s official recruiting program! Definitely make use of your school’s recruiting channels, but do not overlook random networking events that might point you in the right direction like this one did. 5) Got the interview with a very specialized team (generally less competition) that he had exposure to. Consulting firms love hiring people with industry experience + MBA. Whether you work at Intel (semiconductor industry), Amgen (bio-engineering), or L’Oreal (luxury retail), getting an MBA can position you as a potential hire with the specific industry experience that firms love. There’s much less risk for the firm to hire you if you already have a sense of who the major players are in that industry and how the competitive landscape looks. Instead of spending the first few months reading reports on what is happening in the industry, you can just jump right into the real work–saving the firm time and money! Ok ok, I know. There are a lot of assumptions there. Just because you work at a semiconductor company does not necessarily mean you understand the semiconductor industry in the high-level way that consultants do. This is true. When I was at Lucent Technologies, for example, there were plenty of people who had no clue what was going on with the company simply because they weren’t exposed at that level. So you can’t really say that by working in an industry you automatically understand what is going on. Be careful, though! It’s not as convincing (though still possible) if you try to change industries in the process. For example, if you worked at Intel and want to do consulting in the retail industry, you’re going to be competing with people who already have retail experience and may be a better fit. Having said that, IF you like your industry and just want to shift over to the business side of that same industry, then the GMAT/MBA route will position you well for a career in management consulting for those who missed undergrad recruiting. Want to know more about the management consulting interview process? 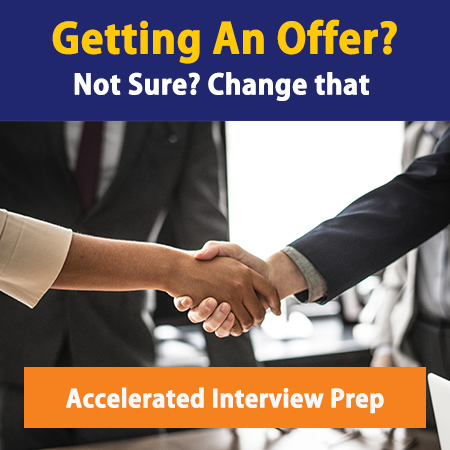 Our Consulting Interview Bible will break it down for you – from what interviewers are really looking for in the fit interview to how to structure your answers during the case interview, it’s a comprehensive guide for those wanting to break into management consulting. For those of you who plan to take the GMAT exam, I highly recommend you check out a great GMAT prep resource, the GMAT Pill Study Method, especially if you want to maximize your time efficiency when studying. The site’s been getting good reviews around the web and even has a 60-day money back guarantee if you are not satisfied. In fact, if you decide to enroll, Zeke is letting ManagementConsulted.com readers in for a generous 25% discount –a great bargain and excellent alternative to Kaplan or Princeton Review.